Candy making is so much fun this time of year. 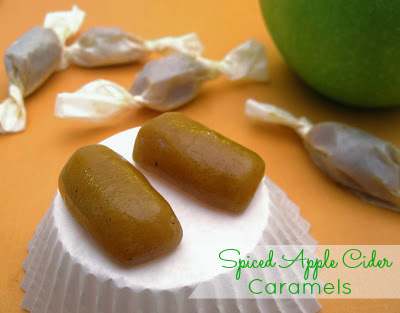 Give these amazing Spiced Apple Cider caramels a try, they taste like a caramely slice of apple pie!! All you need are a few simple ingredients, a pot and a candy thermometer... then wait for the incredible aroma of warm Autumn spices to fill your house. Line the bottom and sides of an 8" pan with parchment paper, leaving excess hanging over the sides for easy removal. Boil the apple cider in a large saucepan over high heat, stirring occasionally, until reduced to about 1/3 cup (it will look like a think dark syrup), about 30 minutes. Reduce heat to medium-high and stir in the butter, sugars and heavy cream. Let mixture boil until a candy thermometer reads 252 degrees F, about 5 minutes. 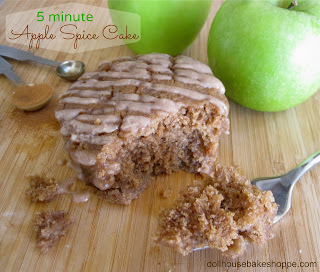 Immediately remove from heat and stir in the salt and apple pie spice. Pour the caramel into the prepared pan. Let sit until cool and firm, about 2 hours. Once the caramel is firm, remove from the pan and using a sharp knife or pizza cutter coated with non-stick cooking spray, cut the caramel into squares. 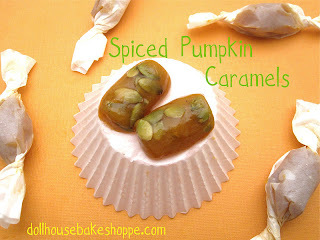 Wrap each caramel in a 4-inch square of wax paper, twisting the sides to close. Store in an airtight container at room temperature for up to 2 weeks. 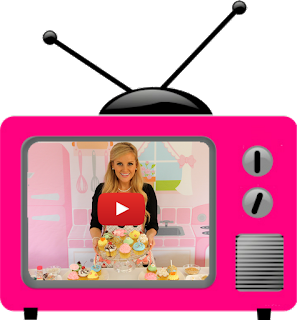 Be sure to also check out my simple, microwave pumpkin spice caramels! 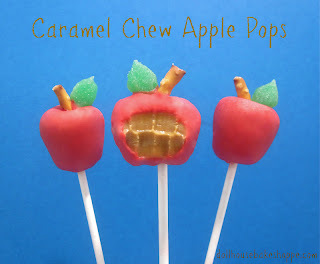 Or use them to make my Caramel Chew Apple Pops! 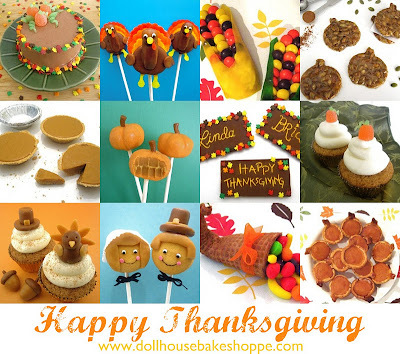 Click here to view more fun Fall & Thanksgiving treats and recipes!